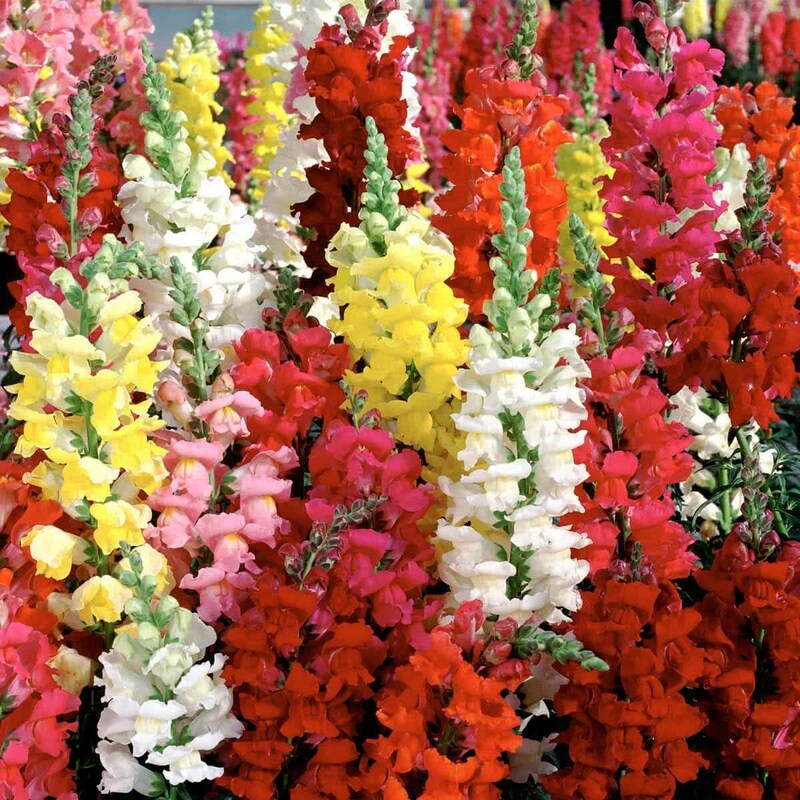 Antirrhinum has many types of species in the genus and is commonly called as Snapdragon flower. It is the cold season annual plants and do best in full or partial sun, in well drained soil. Introduction and Uses: Antirrhinum is a perennial plant, but in India, it is treated as an annual. It branches with numerous colorful flowering spikes. The flower colors range from white and cream to yellow, shades of pink, scarlet, red, orange, brick red, mauve, rose, maroon, etc. It is one of the most popular and widely grown garden annuals. The plant can be used among the shrubs, in mixed borders, and also with herbaceous plants. 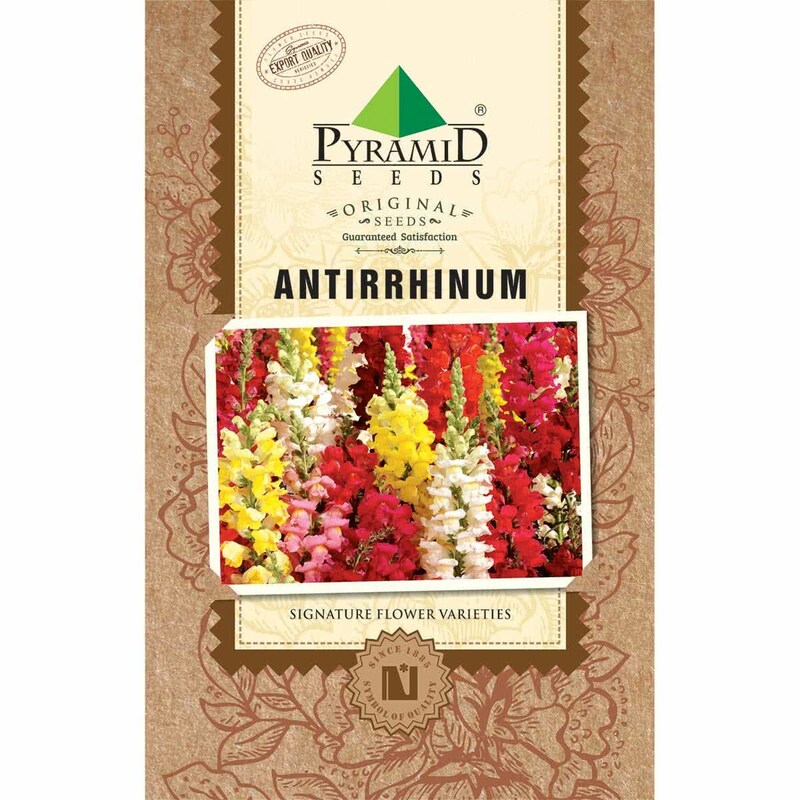 Antirrhinum is an excellent plant for pots, containers and flower beds. Plants are also used for edging and bordering in formal gardens and covering the patches of the rock garden. In India, seeds are sown during September-October. In low rainfall areas, sowing can be done as early as July. If sowing is to be done in bulk quantity, the seeds can be mixed with a double amount of sand. When seedlings are about 7-8 cm tall, they are transplanted in pots or flower beds. Planting Distance: Planting in beds is done 30-40 cm apart. For pot culture, plants are grown in 25 cm pots. Watering: Over-Watering should be avoided as this may cause rotting. The plant does not thrive well during the rains as a certain amount of dryness around the root region is preferred by the plant. Feeding: Over-manuring may result in poor quality flowers. Fresh compost should be added to soil at the time of planting. Plant care: Seedlings are susceptible to ‘damping off’. Also, Rust is a serious disease in Antirrhinum, particularly in hot and dry climates. Spray fungicides to control the diseases. Bloom time: Plants take about 2.5 to 4 months to flower.